Do I Need a Letter of Permission to Travel With Grandchildren? If grandparents want to take grandchildren on a trip without their parents, they may need a letter of permission. Learn why and what information should be contained in a letter of permission to travel. It's better to be safe than sorry. 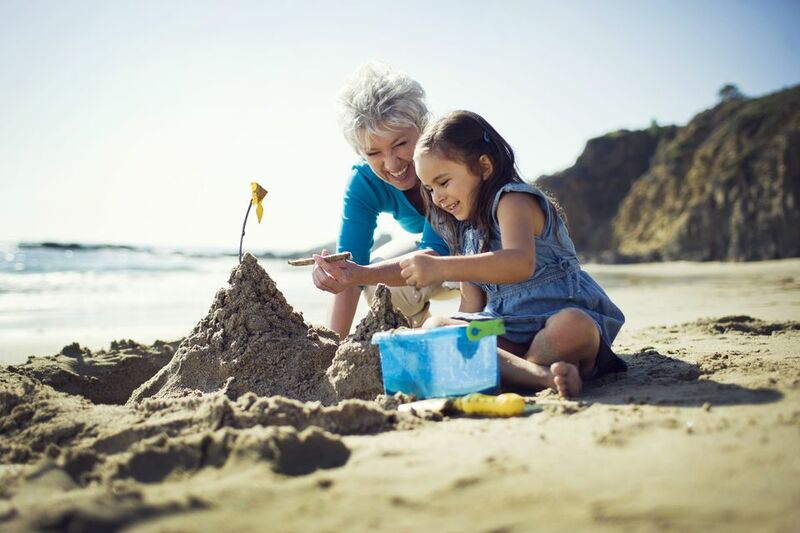 Although you may never get asked for it, it is best to have a notarized letter of permission to travel with your grandchildren. It is not illegal for a grandparent to transport a grandchild without a letter of permission, but the letter could be helpful in those rare cases of emergencies or if for some reason you must deal with law enforcement officials. Ideally, the letter should be signed by both parents. This detail is especially important if the parents are divorced. There are forms available on the Internet, but since details such as the number of children and number of destinations may vary, it's almost as easy to create your own. That also makes it easy to put down any extra information that you would like to include. For an extra measure of security, have your letter notarized. That means that you must locate an individual who is a licensed notary public and sign your document in front of that person. The best place to find a notary is your bank or credit union. Other businesses that may have notaries on staff include mailing services like UPS, law offices, CPAs and tax preparers. If you are employed, someone at your place of business may have a license. The format of the letter should be something like this: I/We (insert name of parent or parents) consent to allow my child/children (insert names and ages of children) to travel with their grandparents (insert names of grandparents) to (insert general travel destination or destinations) during the period from (insert date of departure) to (insert date of return). Finish the letter with a blank for the signature of the parent or parents, followed by a blank for the date. Add contact information for the parent: full address and all relevant phone numbers. Finally, add a place for the name of the notary and the date notarized. If you will be traveling out of the country with your grandchildren, use this more detailed form and create a form for each child: I/We (insert name of parent or parents) consent to allow my child (insert name of child and date and place of birth) to travel with their grandparents (insert names of grandparents, their addresses, DOBs and passport numbers) to (insert general travel destination or destinations) during the period from (insert date of departure) to (insert date of return). Finish the letter with a blank for the signature of the parent or parents, followed by a blank for the date. Add contact information for the parent: full address and all relevant phone numbers. One last item to add is a place for the name of the notary and the date notarized. It is wise when filling in travel dates to add an extra day or two at the end in case of travel delays. A word about passports for children: Although children can travel by land or sea from the United States to Canada, Mexico, Bermuda or the Caribbean area without passports, due to the Western Hemisphere Travel Initiative, they will need copies of their birth certificates. If your grandchildren have passports, enter the passport numbers on the form as well. And remember that passports are required for all other international travel. If you have influence with your grandkids' parents, encourage them to go ahead and get passports for the grandchildren. Passports are a superior form of identification. If your grandchildren have passports coupled with a letter of permission to travel, you should be well-prepared for any questions that arise. You cannot get passports for your grandchildren, but you might be able to help with the process.The signature of both parents is necessary for children to be issued passports.